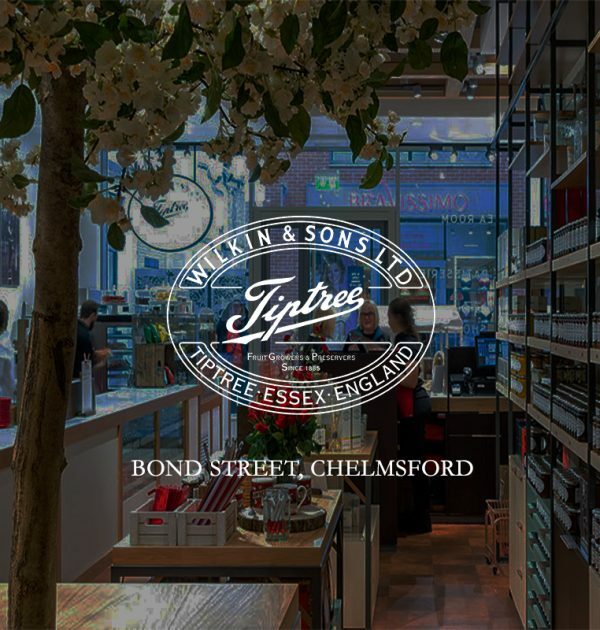 Bond Street Chelmsford comprises of a traditional Tiptree tea room, a café patisserie and shop. The tea room offers traditional table service in comfortable surroundings, this will be open from 9 a.m. (10 a.m. on Sunday’s) for coffee and breakfast, followed by light lunches and cream teas available seven days a week. For those short of time our café patisserie can offer a simple coffee and delicious pastry from our wide range of sweet treats made by our expert bakers at Tiptree Patisserie. 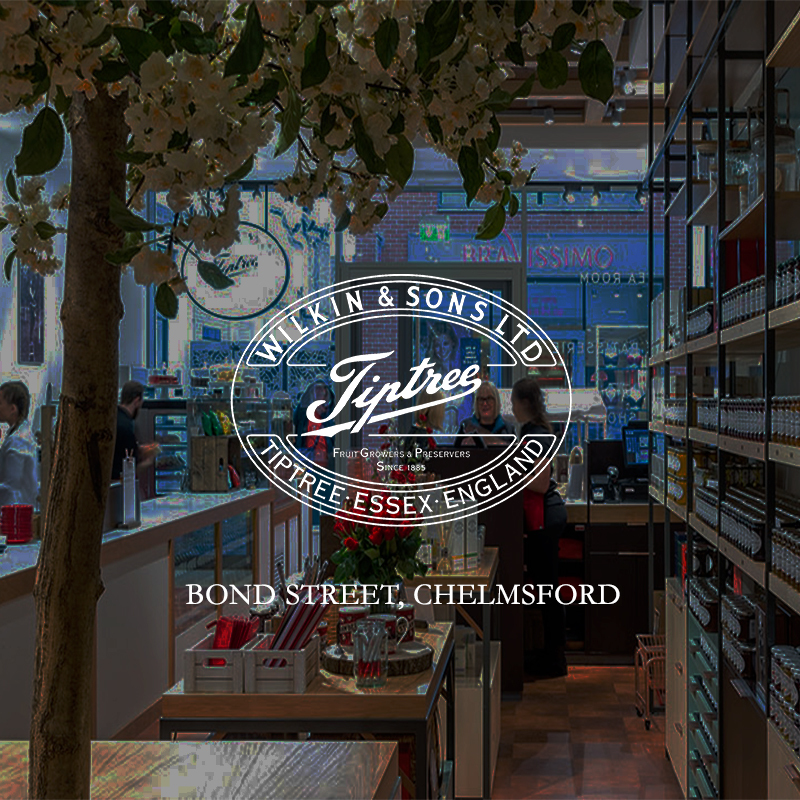 Finally, our shop features an extensive range of Tiptree products, including jams and marmalades, fruit gin liqueurs and our luxury gift range.